Balterio describes their Heritage laminate as having a rustic and rural look. With a True to Nature touch, Balterio Heritage 8mm Laminate looks like the real thing! The embossed in register process gives the look of actual wood grain and the surface structure matches the underlying wood decor. The 4-sided Micro V Groove mimics the beveling found on wood flooring. This 8mm laminate has a 25-year residential warranty and a 10-year commercial warranty. Balterio gives a lifetime warranty on the integrity of the click system. Heritage 8mm uses the DropXpress click system. Just place the board at an angle and press down and your floor will remain securely in place. Balterio prides itself on making laminate floors that are moisture resistant, have an insulated sound, and fewer repeats in the pattern. Not all laminate flooring is alike, and Balterio has set out to prove that. Choose from four colors with an AC4 wear rating when you buy from the Heritage 8mm collection. 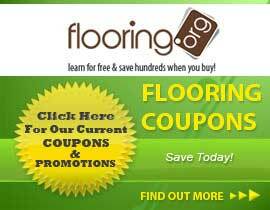 Flooring.org offers prices that make this laminate floor affordable.